Have you been to Las Delicias yet? Las Delicias Golden Valley Road can be contacted through the form on their website, https://lasdeliciasscv.com/ or by phone at (661) 290-2625. Or feel free to come by the restaurant, we’re located conveniently at 26515 Golden Valley Rd., Santa Clarita, CA 91350, we’d love to see you! 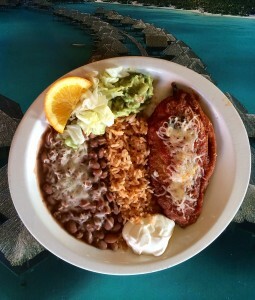 Las Delicias Golden Valley Road is one of the best Mexican restaurants in the Santa Clarita Valley for a number of reasons. First of all, of course, is because the food is absolutely to die for. We serve only the most authentic meals made with the absolutely freshest ingredients. Combine our amazing food with our friendly staff, warm and inviting atmosphere, and low prices, and you’re looking at the best place to come hang out and get yourself some phenomenal Mexican food. We have plenty of comfortable indoor seating, as well as an outdoor patio, so you can enjoy the fresh air while you enjoy your food. So with all these great reasons to come give us a try, what’s your excuse for not coming to Las Delicias? We can’t wait to see you and your friends or family come in and try any one of our amazing meals. While you’re at it, grab something to go and take it home for later, because after all, it’s always a good time for amazing Mexican food! Las Delicias is located at 26515 Golden Valley Rd., Santa Clarita, CA 91350, come in today or give us a call at (661) 290-2625.